Greetings Defenders! We are proud to announce our this space on our website that will share important information about past and future USAF Cop Reunions from all across the globe. Visit this page regularly to see if one of your old units is having a reunion and updated information on the USAF Police Alumni Association annual USAF Wide Air Police, Security Police and Security Forces reunion. To see photos and learn about the 2015 USAF Police Alumni Association Reunion and Choir Practice visit our page at https://www.usafpolice.org/2015-reunion.html. If you have photo's from the reunion that you would like to share with us, please send them via e-mail to bod@usafpolice.org. Please make sure REUNION PHOTOS is in the subject line. 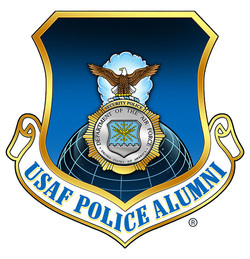 To learn about the 2016 USAF Police Alumni Association Conference and Reunion please visit https://www.usafpolice.org/2016-reunion.html. We are encouraging units to join the Alumni Association each year for our annual reunion and choir practice, but we also understand that plans have already been made for upcoming reunions. If you would like to have your reunion listed on this website, please send an e-mail to bod@usafpolice.org and make sure REUNION CALENDAR SUBMISSION is in the subject line. If you would like to have photos or contacts for past reunions please let us know and we can help share the images and information here on our site. The reunion section of the website is brand new and a work in progress, so please be patient and understanding if all the links are not working yet. Thank You USAA for sponsoring our annual meeting and conference.